The Russian government requirement came following terrorists’ suicide bombings that killed 15 people in Saint Petersburg in April in which terrorists allegedly used the Telegram‘s app to communicate and plot attacks. “There is one demand, and it is simple: to fill in a form with information on the company that controls Telegram,” said Alexander Zharov, head of Roskomnadzor. Telegram CEO Pavel Durov refused to comply with the country’s requirements because he feared that it would weaken the privacy of its over 6 Million Russian users. However, after facing pressure from the government, Durov agreed on Wednesday to store Russian citizens’ information on the country’s servers. The Russian Federal Service for Supervision Of Communications, Information Technology and Mass Media (Roskomnadzor) announced on Wednesday that Telegram had finally presented all the requirements. Roskomnadzor is a federal executive body in Russia responsible for overseeing the media, including the electronic media, mass communications, information technology and telecommunications; organizing the work of the radio-frequency service; and overseeing compliance with the law protecting the confidentiality of its users’ personal data. Durov announced his decision via VK.com, the Russian version of Facebook, adding that while he’s happy for Telegram to be formally registered in Russia, anything that violates users’ privacy will not be served — only basic information about the company will be shared. 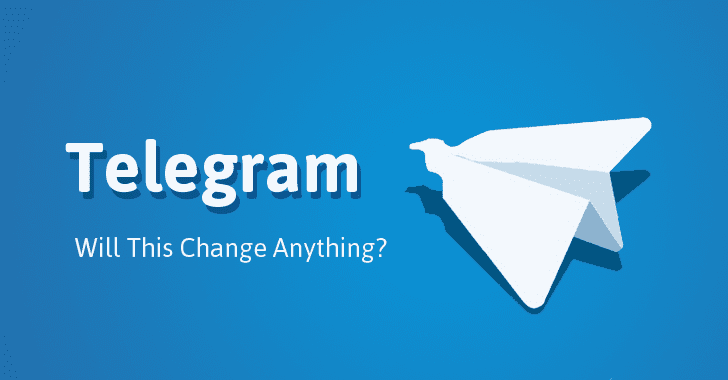 Telegram is an end-to-end encrypted messaging app, but unlike WhatsApp, Telegram does not offer the end-to-end messaging feature to its users by default. Rather users need to open encrypted chats to communicate securely. If you are communicating with people on Telegram thinking that your chats are end-to-end encrypted, you are mistaken, because all your chats will be stored in plain text on Russian servers, making it possible for the government to request it with court orders, when required. A new, secure chat window will open, where you can communicate securely. You can also enable other security features offered by Telegram. These features include Two-Step Verification that allows you to set up an additional passcode for your Telegram account, which is also required to log into your account and Self-Destruct Secret Chats that lets you self-destruct your messages after a specified time (between 1 second and 1 week), leaving no trace on Telegram servers.